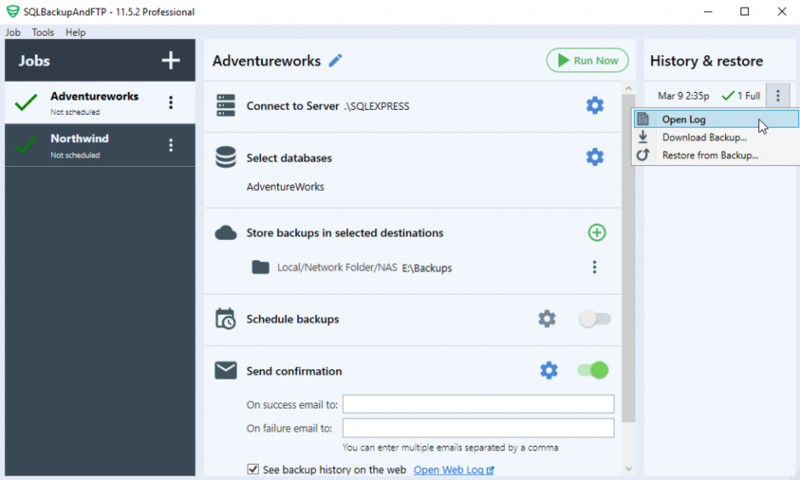 When you encounter an issue with SQLBackupAndFTP, to understand the problem better our support team may ask you to send us the log file. This post explains how to enable the log and send it to us. First – enable writing to the log. Go to “Tools” menu, click “Advanced Log…” and check “Log enabled”. After the log is enabled – reproduce the problem so that all the necessary information is recorded into the log. 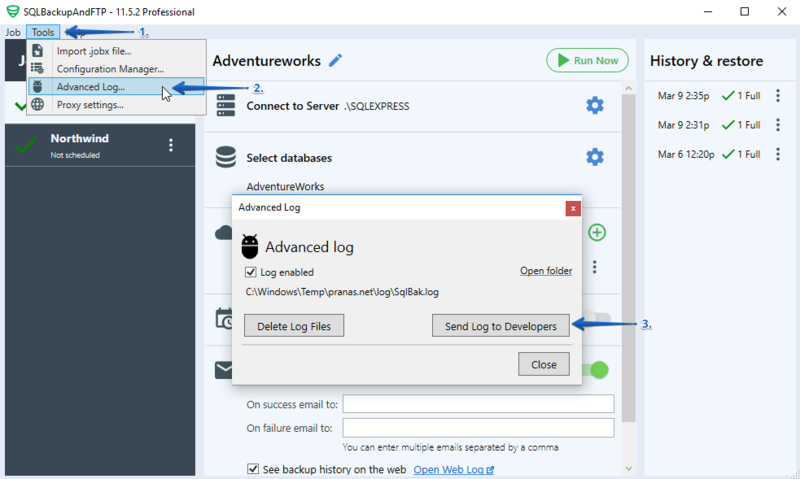 After the issue is reproduced, you can send the log to our support team by clicking “Send Log to Developers” button in the same dialog box. What information do we collect in the advanced log? Application log, which contains all records related to the operation of the application, and errors occurred while the application was running. Backup job logs of the last 10 executed backup. You can see these logs in the “History & restore” panel. To get them click “dots” > “Open Log”. The advanced log doesn’t contain any passwords or authorization tokens for the authorized destination places or databases.